A very large open-plan office space is available to let in Stockport. This space offers an ideal solution for big companies but can also be tailored in its size according to the tenant's needs. This space benefits from an elegant reception area to greet your clients, recently refurbished to a high standard. Air-conditioning, state-of-the-art telecommunication facilities, meeting rooms and kitchen facilities, make this space an ideal working environment. The building also offers on-site restaurant/canteen for your staff. The building is close to the motorway junction and to the railway station and is well connected to the town centre and to the surrounding cities. 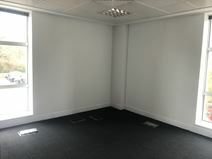 Recently refurbised to a high standard, this business centre offers office suites of various size and an open-plan office space, all furnished and sophisticatedly decorated. Available at flexible rental terms, these office spaces are provided with a full range of services and facilities and offer a professional working environment. The business centre is conveniently located in a popular area, which hosts the major shopping centre on Manchester, restaurants, banks and a variety of amenities, and is close to the railway station and the motorway network. This contemporary detached office building features immaculate serviced office suites in a range of sizes. The available office units range in size from 66 sq ft to 485 sq ft. The office space is located in a well established business park, with many great local amenities within walking distance. The building has some fantastic features, such as air conditioning, 24 hour access, ample on-site free car parking and meeting room facilities. Close to major motorway links, as well as Manchester Airport, this centre is very easily accessible. The range of facilities are designed to make the working day as productive and comfortable as possible, and include an on-site management team available 7-days a week, on-site parking, individually alarmed offices, all-inclusive pricing and printing and copying facilities. This is a great location in characterful Cheadle Village. The centre was developed from an 18th century property and provides high quality contemporary office accommodation. A range of amenities is close-by, including a Waitrose supermarket, perfect for a lunch time and there are also good transport links including local bus services and easy access to major roads. 24-hour access and security is available. Based in Cheadle Royal Business Park, this new centre - opening in late 2018 - offers great workspace options with offices ranging from 89 sqft up to 3,000sqft - making it an interesting proposition for business of all sizes. The centre offers great flexible, easy-in, easy-out terms, meaning tenants are not weighed down with long term contracts. Rates are also inclusive of telecoms, internet and parking. The centre is just a 15-minute drive to Manchester Airport, perfectly placed if you require air travel for business meetings. Located in a suburban setting to the south of Manchester city centre, this centre has recently undergone an ambitious interior and exterior refurbishment. Serviced office space and meeting rooms have been furnished to a high specification and are fully equipped. A range of amenities are located nearby, including cafes, bars and restaurants, as well as Cheadle Hulme Railway Station, which offers direct services to Manchester Piccadilly. 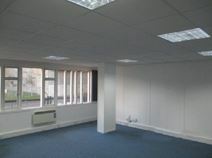 This modern business centre is located in Cheadle, Sotckport. Recently remodelled, it offers a bunch of useful amenities, including two spacious meeting rooms available for hire, free parking to customers, and internet-ready offices. Ideal for small-to-medium offices, the centre offers flexible terms including monthly rolling contracts. It is close to Junction 2 of the M60, offering direct access to the M56. Nearest train stations include Gatley and Stockport, with Manchester International Airport just 10-minutes drive. A recently refurbished, purpose-built office on Junction 2 of the M60, offers a wide range of serviced offices with a great set of features. The unfurnished accommodation includes toilets on each floor, separate for male, female and disabled users, and 24 hour access to the building is secured by means of an access control system. Parking is provided to make the daily commute easier, and some suites include business rates and utilities in the rent.